Now that said, this was an extremely fun comic to draw, so I don’t regret it. I had been reading “Ghost in the Shell”, and was on something of a Shirow kick. 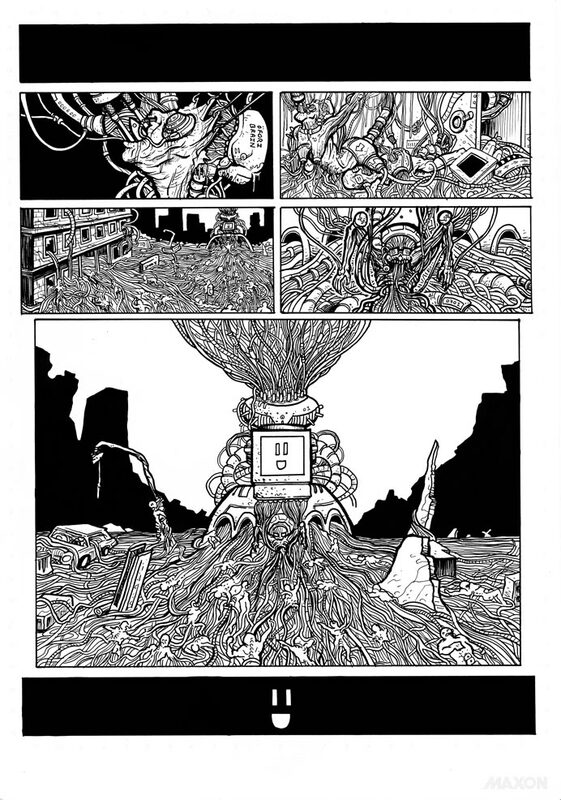 Drawing and inking all the wires and tubing on these last pages was strangely relaxing.